Our primary purpose in Christian Education is to equip and assist each member of Lake Elam to become a mature disciple of Jesus Christ through corporate and personal study of God's Word. Age-appropriate small group studies are provided for the entire family. Each study serves as a vehicle for educating, assimilating, discipling, and is also designed to fulfill our key objectives. Commit to personally join and attend a Sunday School small group. Enroll your child or youth in Children and Youth Ministry. 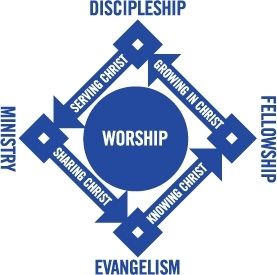 Pray that each member of Lake Elam becomes committed to personal discipleship and evangelism. Invite and bring someone else to church with you.